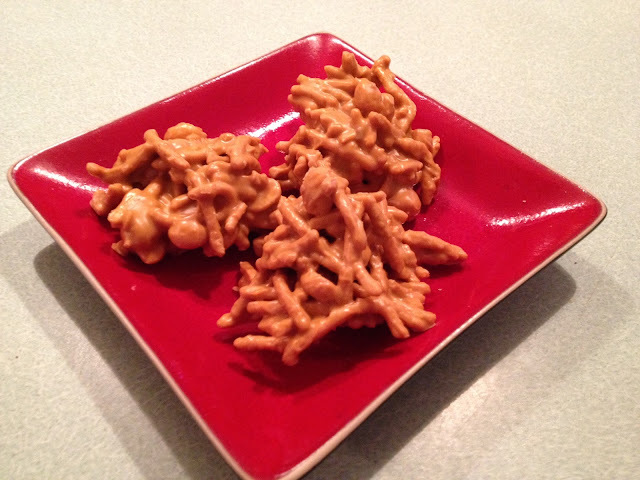 Years ago, I remember a “cookie” my mom used to make, but I don’t really remember mom making any cookies, so I’m not sure where I remember this from, but regardless, I love me some butterscotch, and these cookies are AWESOME. 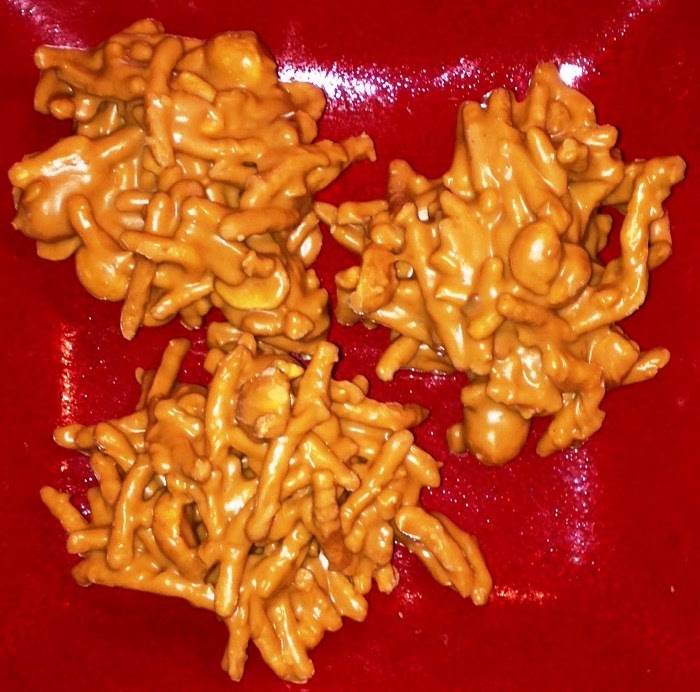 When we were visiting my best friend in Arizona, she made these, but used Corn Flake in place of the Chow Noodles. While they were good….nothing beats the crunch of the noodles! Heat peanutbutter then add butterscotch chips, stir until melted. Stir in noodles and nuts, until coated. Spoon heaped mounts onto wax paper, and cool until firm. never heard of these before but look like they are worth a try!